Help us feed our children and families in need this holiday season. 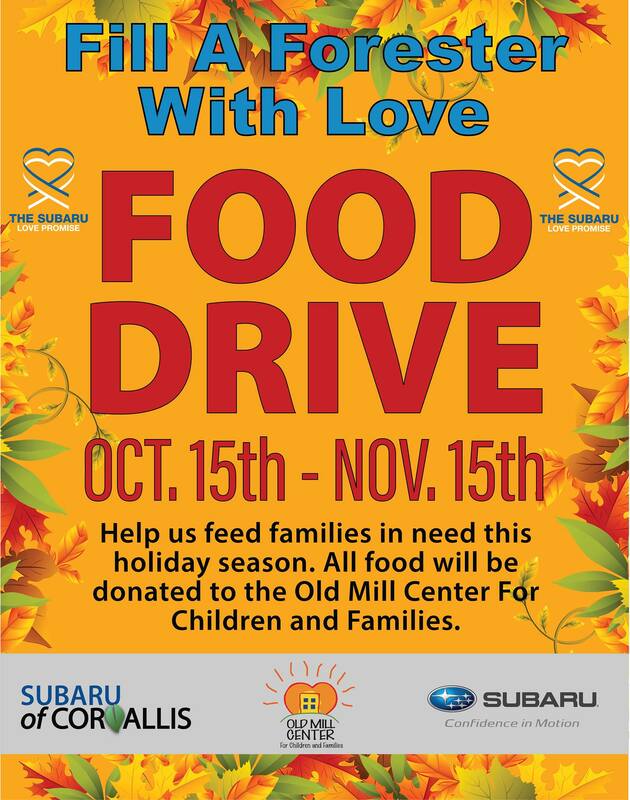 Subaru of Corvallis will be collecting non-perishable food items. All food will be donated to Old Mill Center. Share the love this holiday season! Help fill a Subaru Forester with food for families in need this Thanksgiving.